A football fan who said he was seriously injured in a police baton attack is to have his case investigated by the Independent Police Complaints Commission (IPCC). The Portsmouth supporter was treated in hospital for a head wound after a match at Fratton Park on 12 May. The complaint was made against Devon and Cornwall Police whose officers were accompanying Plymouth Argyle fans. The IPCC said the 30-year-old man was "well on the road to recovery". The commission said the man, who was accompanied by his wife, was involved in an altercation with a Plymouth supporter in Carisbrooke Road outside the stadium immediately following the League Two play-off match. 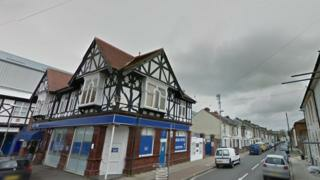 Devon and Cornwall police officers intervened and the man was allegedly struck on the head by an officer using a baton. He was treated in hospital and released later that night. Devon and Cornwall Police referred itself to the IPCC, which said it had begun an investigation into the circumstances and the actions of the officers involved.